The leaders that I spoke with often had a quick initial response which was then followed by a more reflective one. They realized that having a magic wand to solve just one sustainability problem would be a big responsibility. Here are their responses. Climate change. Plastic is indeed a part of a climate change, as I mentioned earlier. The tricky thing about this question is that all of these sustainability issues are intertwined. Perhaps more importantly, I would change our political system, i.e. campaign finance reform, and the growth-at-all-costs mentality that landed us here in the first place. I would create a regenerative model, including how we treat each other. I would like to solve time travel. Let people today spend a day 50 years in the future. Give them a chance to see the world that we’re creating. The thing we’re doing is all about awareness, letting business know how much these things matter to people. We’ll have the data to drive this. We will be able to show the consumer the good stuff that business are doing AND then let them know that their decisions and sharing of data are impacting these businesses to change — and we’ll let them know of their power in the world. I would be particularly interested in tackling the whole idea of intergenerational equity, and how we can try to create a better understanding and “social contract” between the generations. If we could get a greater sense of intergenerational equity and understanding, that would go a long way towards eliminating the sense of “other”, of difference, that we’re suffering too much from, around the world. Too often people focus on what is different and reduce everyone down to a single identity with a label, whereas what we need to try to do is to see the multiple identities that we all have. To find what we have in common with someone else, rather than what divides us. If we take the time we can find the multitude of “sames” rather than focus on differences. I truly believe that if people knew the full impacts of their purchases, what they consume and the brands they support, they would make smarter decisions. I wish there was full transparency of all negative externalities of all purchases, what went into making that product. The flip part of that is I would create systems that support long-term thinking and actions. We’re stuck in short-term, quarterly-mind sets and decision-making structures. The magic wand is the awareness is that everything is connected. What we do to the planet we also do to ourselves. Now I’ll ask you, reader: If you had a magic wand and could completely solve one sustainability problem, what would it be? Think about it, and remember that having a magic wand would a big responsibility. How would you respond? 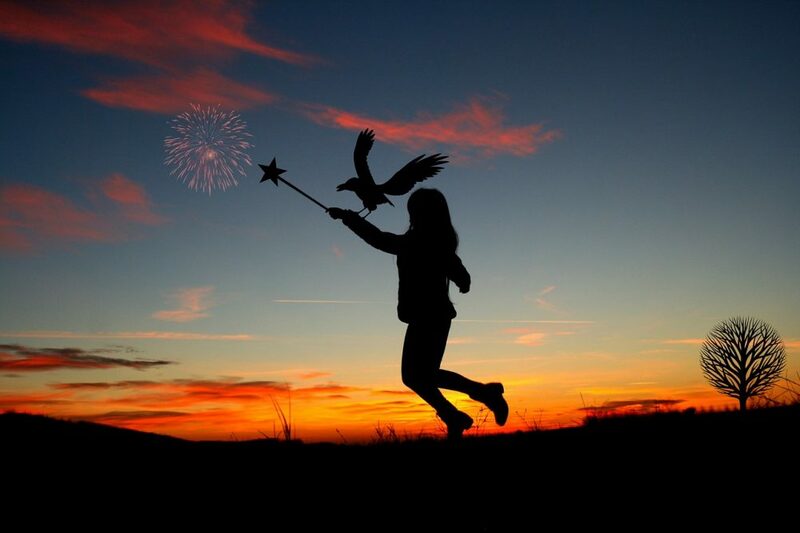 None of us have a magic wand; however, it is a thought-provoking question that is worth pondering. After an initial response — perhaps targeting whatever aspect of sustainability you’re focussing on right now — I hope you you might pause and reflect, take a step back, and think bigger and deeper. You might realize that you need to map out the interconnected systems in which you operate and explore leverage points, to engage design thinking and socratic inquiry, perhaps to go outside and ask Nature. MCAD’s MA in Sustainable Design program doesn’t issue magic wands, but we do equip people with a combination of theories, tools, and opportunities needed to tackle our biggest sustainability challenges. To learn more about MCAD’s MA in Sustainable Design program, go to our MCAD website and explore our blog.